What to do in Paris during the Euro 2016… if you donʼt enjoy football? Whether youʼre a born and raised Parisian or a tourist passing by, itʼs never too late to discover the capital and its emblematic points of interest. If youʼre dreading football, PARISCityVISION offers guided day and night tours to visit Paris during the Euro 2016. We swear we wonʼt start a conversation about missed goals, unfair red cards or this incredible football action! First, youʼll take an air-conditioned bus tour that will take you past the most famous touristic sites: the Eiffel Tower, the Arc de Triomphe, the Champs-Elysées, the Notre-Dame Cathedral, the Louvre, les Invalides, the Tuileries Gardens, the Pantheon, the Luxembourg Gardens, the Orsay Museum, the Garnier Opera and the Place Vendome. A registered commentary throughout the tour will shed light on all the different monuments and points of interest. 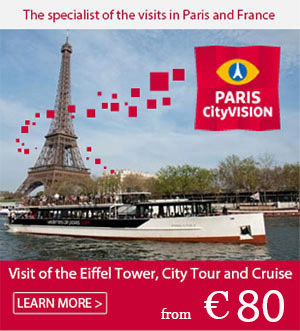 Once the tour is finished youʼll be unbeatable on the French capitalʼs most famous sites! The first ticket will take you on a Seine river cruise leaving form the Quai de la Bourdonnais, located on the opposite side of the Eiffel Tower. The second one is an Louvre ticket do discover the wonders of the Museum. The third ticket gives you access to the top floor of the Montparnasse Tower. Two-hundred meters high, youʼll be able to get a breathtaking view over Paris and its fabulous monuments. 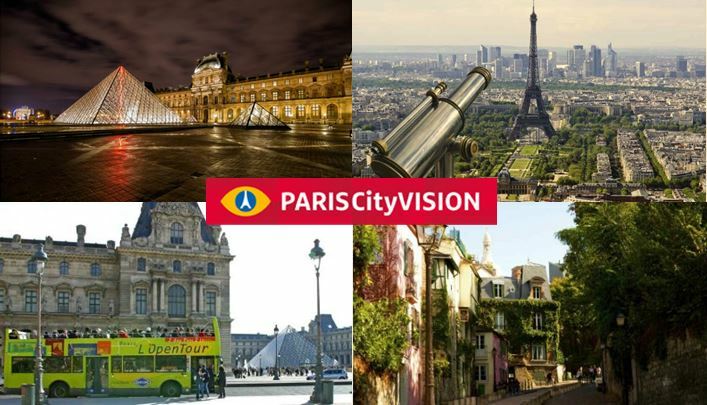 PARISCityVISION also offers other tours and activities (guided visits of Montmartre, Versailles, the Orsay Museum) that it is still possible to book regardless of all the Euro 2016 craze. For those who are looking to get more bang for their buck, there are ways to enjoy Paris without spending a penny such as bike rides or walks in Parisʼ most beautiful gardens. There are also a good number of museums with free, year-round access to their permanent exhibitions in addition to temporary exhibitions. To avoid overexposure to what will surely be a 30-day football invasion, there are classic options like going to the movies, to the theatre or to a concert, enjoying a meal at a restaurant or winding down during Happy Hour at a pub. Make sure you avoid places that will broadwast the Euro 2016 matches. A lot of bars and pubs will be equipped with large screens where pumped up players will be booed and hissed and cheered by equally pumped up spectators! If youʼre looking to enjoy a calm evening out, itʼs wise to identify these places before making plans. Whatever you decide and wherever you may be, in the capital or in the countryside, thereʼs no doubt that the majority of conversations will be about the Euro 2016. If you want to avoid it like the plague, your best option is to drink a cup of tea at home, read a book or put on a headset and turn the volume up!